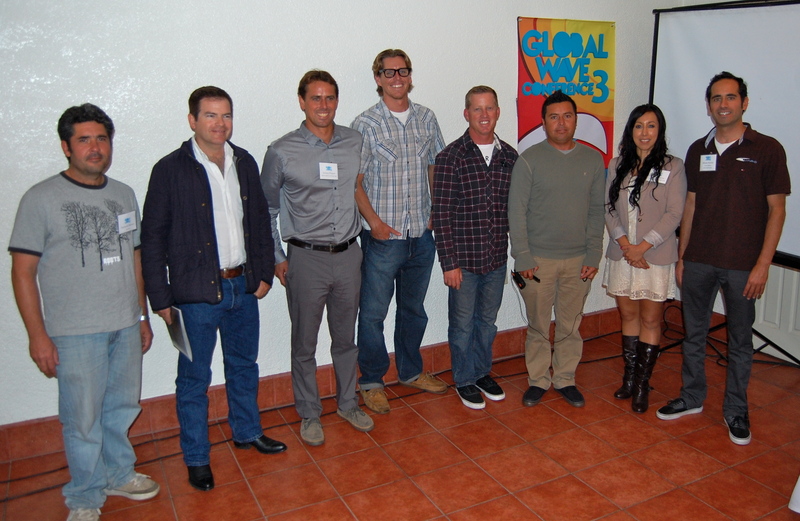 On the first ever Global Wave Wednesday, a report on how surfers from ten countries came together May 5-8, 2013, in Rosarito Beach at the Third Annual Global Wave Conference to talk about strategies to preserve waves and beaches. “We are more than a wave,” Pablo Narvaez of Barra de la Cruz told me last week while we ate lunch at the Rosarito Beach Hotel. Barra de la Cruz, considered one of the world’s best waves by Surfer Magazine, is an indigenous coastal village in Mexico where surfing is the main source of tourist revenues. “We have sea turtles, a mangrove lagoon and a beautiful village filled with culture,” said Pablo. 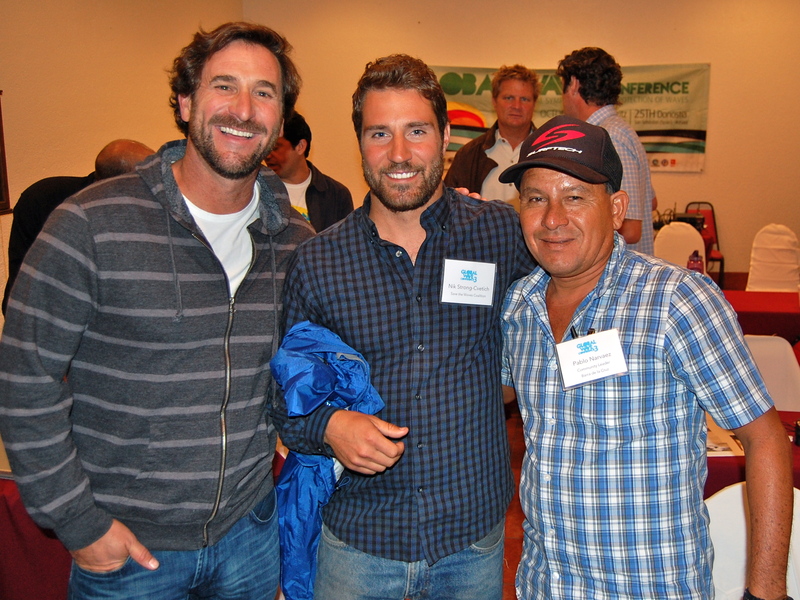 Pablo was among the surf conservationists from 19 organizations representing ten countries who came together in Rosarito Beach at the world’s largest gathering dedicated to global wave protection in Rosarito Beach for the for the 3rd Global Wave Conference to discuss experiences and strategies to protect coastal ecosystems and resources. Alfredo Ramirez of UAPO and Carlos Luna of Rosarito Beach. The conference represents a growing understanding that the world’s coastlines, and more specifically its surf spots, are important economical, ecological, cultural and recreational resources that must be protected. “The GWC was a really productive and amazing conference. From local fisherman in Baja, to non-profit leaders in the UK, to representatives from the UNDP in Costa Rica; The true strength of the conference was to create new and innovative partnerships among all surf users,” said Save the Waves Executive Director Nik Strong-Cvetich. Nik Strong-Cvetich of Save the Waves, Gustavo Danemann of Pronatura-Noroeste, and from WILDCOAST Sofia Gomez, Fay Crevoshay and Eduardo Najera. 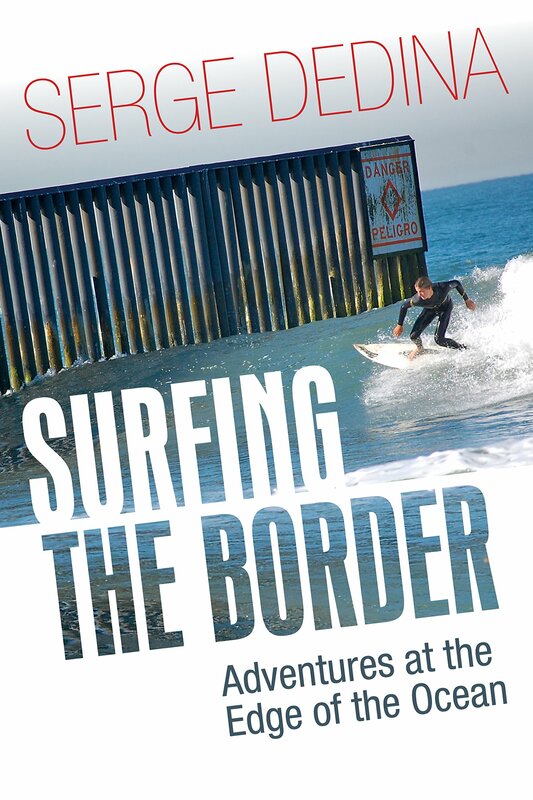 In Rosarito Beach, a number of the attendees represented communities throughout Mexico and Latin America who are striving to conserve their waves, beaches, and way of life through surfing tourism and conservation. 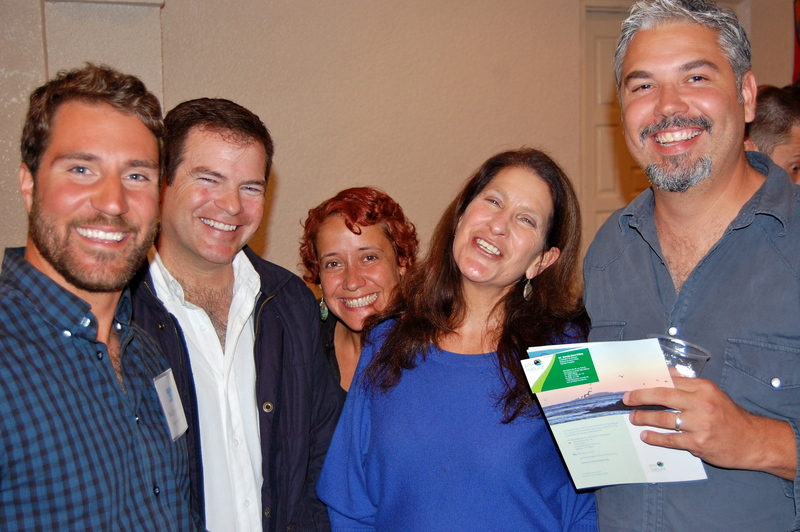 Fernando Marvan from Surf Ens presented on the recently established Bahia Todos Santos World Surfing Reserve. 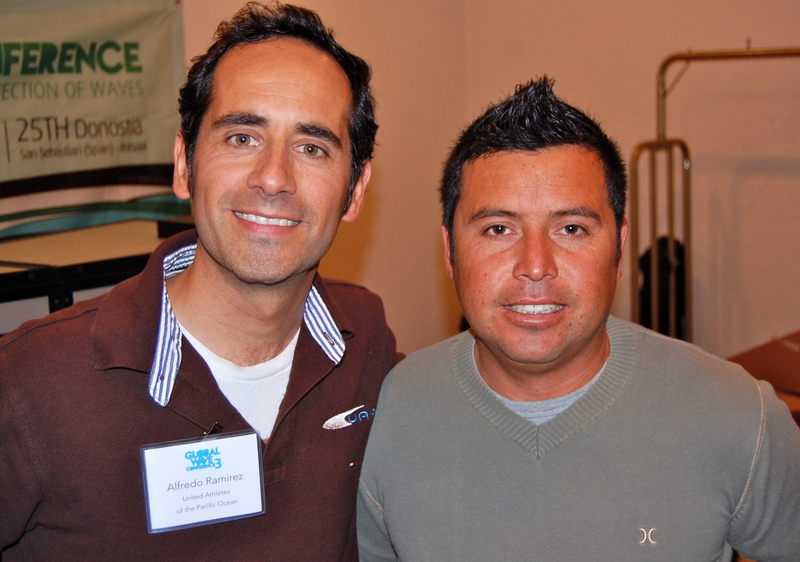 Carlos Luna of Rosarito Beach and Alfredo Ramirez of UAPO discussed youth surfing in the region and the future of the sport in Baja California. Participants who spoke on issues along the U.S.-Mexico borde and in Baja. Artemio Murillo and Jaime Villavicencio travelled all of the way from the fishing village of Bahia Asuncion in Baja California Sur to present on how surfing has been a catalyst for coastal stewardship. Jaime helps fix up old surfboards in his remote village to make sure that local kids have access to surfing. One of the most moving presentations was by Pablo Narvaez who discussed how his tiny Oaxaca community of 800 people is effectively managing their coastal resources and offered a model that can be replicated in many areas around the world. “We charge a fee to use our beach services. Those monies in turn fund community projects and medical care for every member of our village,” said Pablo. Presentations were also given by Surfers Against Sewage from the UK, Save the Waves, Salvem o Surf from Portugal, Surfrider Europe, Surfers Environmental Alliance, the Canary Island Surfing Federation, Desarrollo y Gestion Costera from Peru and Oso and Golfito Initiative from Costa Rica. “Every wave is unique. Every beach is important for the community,” said Carlo Grigoletto, Executive Director, Desarrollo y Gestión Costera (DGCOSTERA) of Peru. Will Henry and Nik from Save the Waves with Pablo Narvaez from Barra de la Cruz, Mexico. The conference concluded with a field trip to Ensenada to show some of the exceptional efforts being carried out by local community groups and NGOs and the location of what will be Mexico’s first World Surfing Reserve in Bahia Todos Santos. The reserve that will be launched sometime in the fall, will include San Miguel, Tres Emes, Salsipuedes and Todos Santos Island. 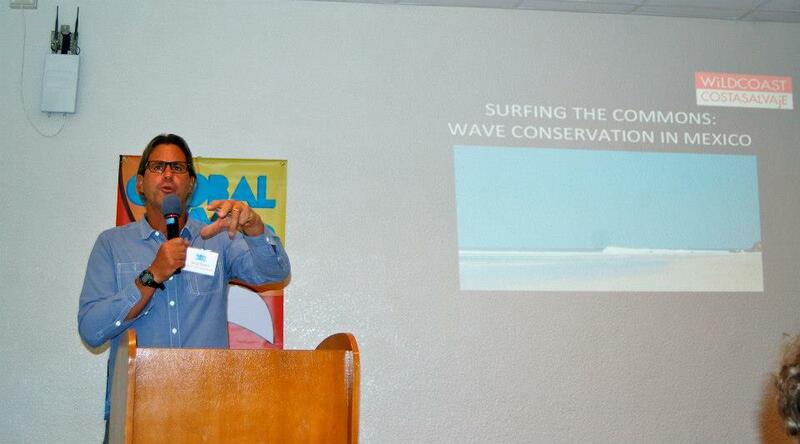 Here I am presenting on wave conservation in Mexico. 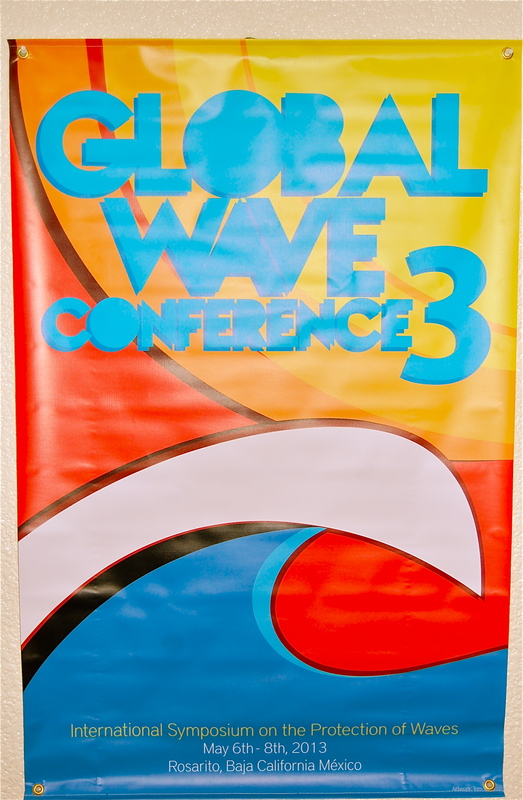 “The conference also delivered the first ever united global action for wave protection through Global Wave Wednesday. A great template for working together.” Hugo Tagholm, Director, Surfers Against Sewage. As an act of solidarity the groups attending the Global Wave Conference agreed to support Surfers Against Sewage’s Protect Our Wave campaign, which is designed to increase legal protection for surfing in the UK. “It was great to see the commitment, tenacity and innovative approaches surfers are using to protect the waves they love all over the planet,” said Surfrider Foundation Executive Director Jim Moriarty. 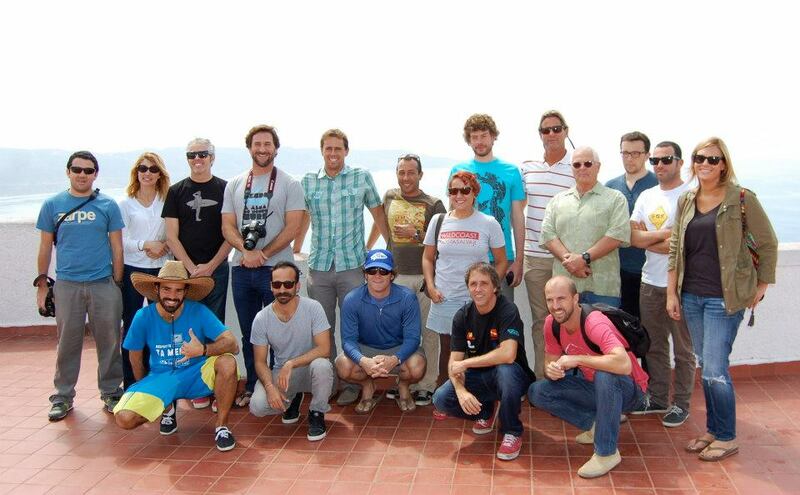 Some of the group on a field trip to visit the Bahia de Todos Santos World Surfing Reserve. « Global Wave Wednesday-Save Waves Today!